Pedro is coming to England, just not to the club we all expected. For weeks, there was a consensus that if the 28-year-old Barcelona winger was to leave the only club he has ever known for the Premier League, he’d be joining Manchester United. The deal had sounded certain, then flagged, then looked to be back on, only for Chelsea to swoop in and nab the player. Make no mistake: This isn’t just a transfer; it’s a gut shot. Football deals are all about perception. In reality, Chelsea are off to their worst Premier League start since 1998, with some speculating that we could be on the cusp of another classic third-year Jose Mourinho meltdown. Manchester United have won their opening two games, and are comfortably ahead in their Champions League qualifier against Club Brugge after beating the Belgian team, 3-1, on Tuesday. But the rules of attraction don’t always follow the numbers. By most accounts, the money being offered by the two clubs was pretty close. Both teams are likely to play Champions League football this season and next. Both teams are huge brands with international followings and packed trophy cabinets. But Pedro chose Chelsea. And the blow the London club have struck against their northern rivals is going to be felt as much off the field as on. They have made Manchester United look small. The Spanish element is crucial, because while Pedro might have been having cold feet about how he fit in with United, another national teammate, Chelsea’s Cesc Fabregas, was reportedly rolling out the red carpet. Fabregas is said to have contacted Pedro this week and espoused life at Stamford Bridge. Mourinho contributed to the sell, detailing how Pedro would fit into Chelsea’s team, but the closer might have been Fabregas’s girlfriend, Daniella Semaan, who apparently sold the move to Pedro’s significant other on behalf of the team. However it went down, Pedro’s Chelsea arrival is imminent, and United are trying to save face by flashing some cash at Southampton for forward Sadio Mané. He is a nice player, with Premier League experience, but he hasn’t won 15 major trophies like Pedro has. Now, is Pedro the kind of player who can win a team a title? Does he get you an extra six to 12 points a year? No. He’s a very good winger. 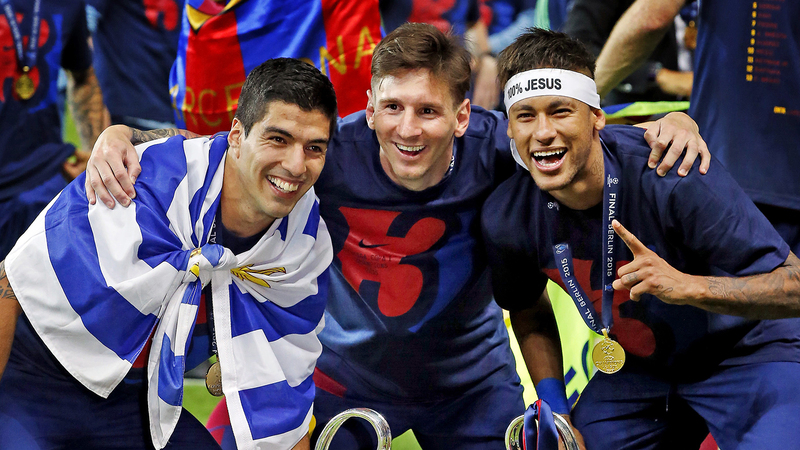 You’re thinking of the three guys he was stuck behind: three of the four best players on the planet at Barça. For United, he definitely would have improved their attacking options, though not by leaps and bounds. What Van Gaal wants is more creativity. Pedro likely would have taken a lot of Ashley Young’s playing time, a player about whom the manager recently remarked, “he is not a Neymar.” Thing is, neither is Pedro. What Pedro could have done or will do on the field is less interesting than what Pedro’s transfer to Chelsea says about the state of the two clubs. United have let big names like Robin van Persie, Radamel Falcao, and Angel Di Maria walk, and now their world-class keeper wants out. They’ve brought in a series of useful, squad-strengthening additions like Morgan Schneiderlin and Memphis Depay (who looked great against Brugge), and one fading star in Bastian Schweinsteiger. As the transfer window begins to slowly close (it officially shuts at the end of the month), United look unable to close deals for megawatt talent. There was a brief moment, around the time of the Schneiderlin and Schweinsteiger deals, that United were rumored to be going for Zlatan Ibrahimovic. This was just one of several “UNITED ARE BACK” rumors that appeared in the British press this summer. They were reported to have made a bid for Gareth Bale, and were rumored to be pursuing an expensive (like GDP-of-small-country expensive) reunion with Cristiano Ronaldo, but nothing solidified. The failure to land a more modest talent like Pedro makes those rumors seem even more silly. They’ve improved the team’s depth, but have failed to land a game-changing player. This is school-cafeteria stuff. Chelsea have the cool kids’ table. You want to sit with them. They get things done. They have cool girlfriends. The club identified and acquired a transfer target, right out from under the noses of one of their biggest rivals, right at a moment when the whispers about club dysfunction at Stamford Bridge were becoming too loud to write off as gossip. Chelsea buy Barcelona players. United buy Southampton players. Mourinho is a manager people want to play for, and Van Gaal is a grouch, alienating an entire clique of his club, along with their friends on other teams. Roman Abramovich and his director Marina Granovskaia can get something done in a matter of days that Ed Woodward dilly-dallied over for a summer. In a couple of months, one of these teams will look smart, and the other won’t, and that will be decided on the field. But right now, before Pedro has kicked a ball as a Premier League player, just the simple transaction has impacted how we look at each team. So much football news is fueled by rumor and innuendo, though the details of this transfer have been reported on particularly heavily. Both keepers play for United, and both have been sidelined — De Gea because he reportedly wants to join Real Madrid and Valdes because he refuses to train with the reserve team.